The financial costs of a burglary are often far less than the psychological ones. It can be a horrible feeling to have your home invaded and your possessions pawed over by a stranger. But there’s something even worse: to have the grave of a loved one broken into or desecrated. A grave should be something that strangers respect and leave alone, allowing the family and friends of the deceased a space for mourning and remembrance. All too often down the years that hasn’t happened. In the days when dead people were often buried with precious objects, the incentive to rob graves was very high. In ancient Egypt, for example, the tombs of pharaohs were regularly invaded and emptied of their wealth. 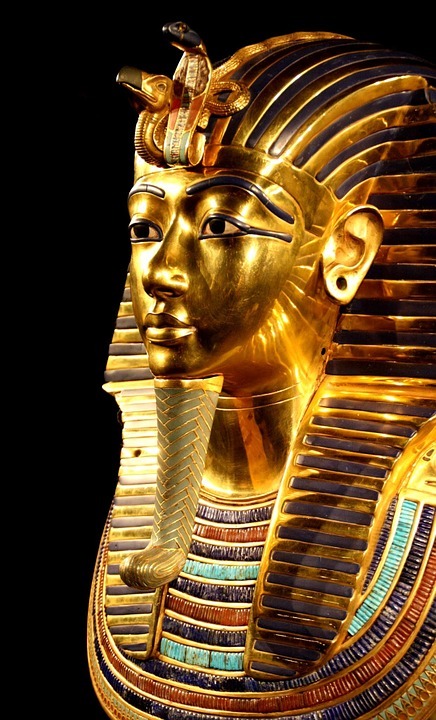 Robbers even got into Tutankhamun’s tomb, but they stole only the most valuable and portable items and for some reason didn’t return for the treasure that remained. That’s why the treasure survived until it was brought back into the sunlight to dazzle the world after its discovery by the archaeologist Howard Carter in 1922. But Tutankhamun was only a minor pharaoh. Imagine what must have been placed in the tombs of important pharaohs like Ramses II and Cheops! Those tombs must have been years and even decades in the preparation and construction, but the longer they took to build and fill, the more people knew of them and the higher the chances that, sooner or later, they would be robbed. The ancient Egyptians took as many precautions as they could. They tried to hide the tombs and seal their entrances so that no-one would guess anything was there. It was almost always in vain. And the robbers weren’t deterred by the religious protection placed on the tombs. The ancient Egyptians had gods like Anubis and goddesses like Anput whose role was to guard the dead and punish those who violated their rest. That’s where the idea of the mummy’s curse comes from. If you violate a tomb, the tomb’s guardians will violate you. Death will stalk you and quickly strike you down. You’ll fall sick with fever or be bitten by a snake or meet a band of murderous thieves. That was the story anyway, but like everything else, it failed to keep the tombs of the pharaohs safe. It’s probable that the tomb-robbers had gods and goddesses of their own, whom they trusted to keep them safe and fight off the prayers and spells laid down by the pharaoh’s side. The legend of the mummy’s curse hit the headlines when Tutankhamun’s tomb was discovered in the 1920s. Many people thought that Howard Carter and his team would suffer for disturbing Tutankhamun’s rest. And yes, Lord Carnavon, who funded the excavation, did pass away quickly. He was bitten by a mosquito in Cairo and the bite became infected. He was dead only a few months after the tomb was discovered. Surely that was evidence for the mummy’s curse? No, not really. Disease and infection are more dangerous in hot countries like Egypt and death’s like Lord Carnarvon’s aren’t unusual even today, when medicine is much more advanced and powerful. But there’s an even bigger problem with the idea of the mummy’s curse. If anyone should have suffered the vengeance of the gods, it was Howard Carter himself, the leader and inspiration of the expedition that discovered and excavated Tutankhamun’s tomb. But he was still alive a year after he first entered the tomb. He was still alive ten years after. In fact, he lived until 1939. And he died far away, in the London district of Kensington. If there is a mummy’s curse, it works very slowly and inefficiently.